We were asked by our client to provide a full floor zone solution from concrete base all the way through to top of the screed. The insulation provided was 100mm Kingspan TF70 with a 1200 gauge DPM to seal and tank the floor. 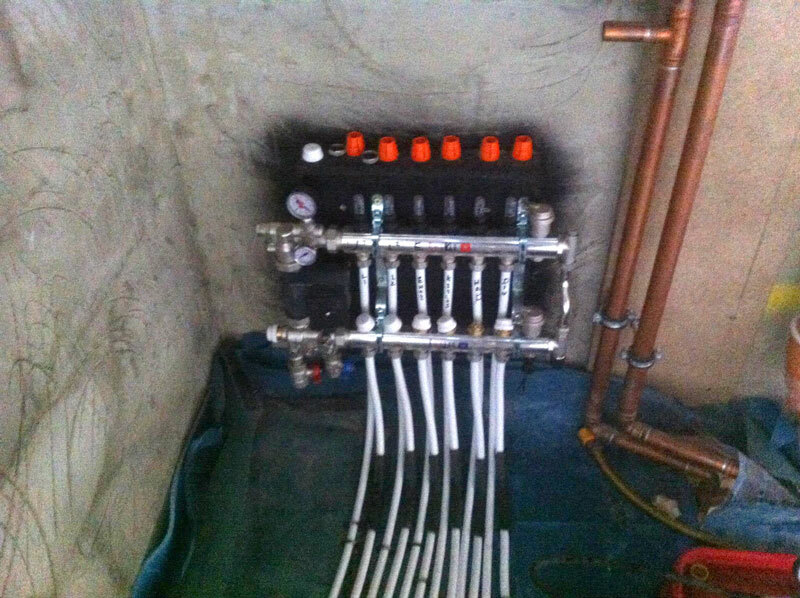 The UFH system utilised the Clip rail system to accurately space the UFH pipe work as well as keeping the pipe work securely fixed to the insulation. The screed used was a 50mm Low laitance Tarmac Agilia Screed A. 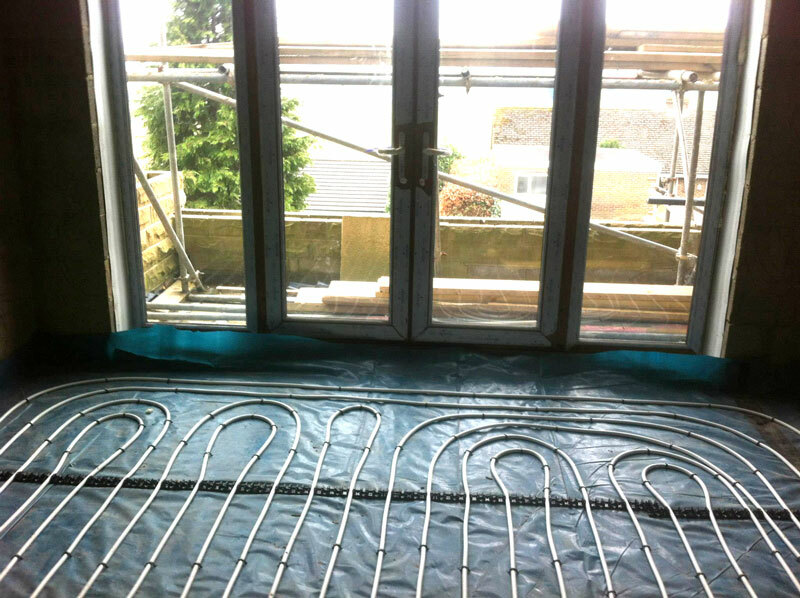 The screed and UFH were installed in the same day and released back to the client ready for curing over the weekend. Minimising any disruption on site to the client and other building trades!